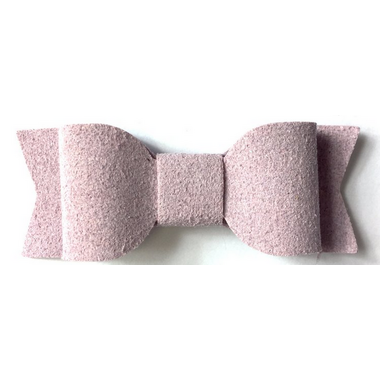 The Mia bow is made with a crazy soft faux suede material and tied into a cute "Snow White" inspired bow shape. The Mia bow is stitched to Baby Wisp® Mini Latch clips that comb in to fine wispy hair and stay put! Snap open, comb in hair, snap closed.